A recent New Jersey case (July 2018) resulted in a decision requiring proper and detailed documentation in order for money paid to family caregivers to qualify as a Medicaid penalty exempt transfer of assets. In E.B. v. Division of Medical Assistance, the daughter of the Medicaid applicant compensated herself from the applicant’s savings for full-time caregiving. These payments all took place prior to the applicant entering a nursing home. Because the daughter did not keep detailed records of services provided and time spent, the appellate court upheld the transfer penalty of $69,211.90. The daughter was required to pay this money back to her mother so that it could be spent on her nursing home care. Although this is not a Pennsylvania case and is not binding in our jurisdiction, it is demonstrative of the fact that it is imperative that all payments to family caregivers should be set out under a binding contract. There should be a detailed family care agreement that sets out the foundation of the work that a family member will be performing. We prepare these family caregiver agreements for clients on a regular basis so that it is clear what work is to be done and how much a caregiver is to be compensated. I think this case also demonstrates the need for the family caregiver to keep a running log of all the work that they do and the time that they spend. I also encourage family members to obtain periodic written statements from medical professionals verifying the care recipients need for care and the fact that the family member is providing that needed care. The more documentation, the better. It should also noted that payments to the family caregiver are compensation and should be reported for income tax purposes. I have often been concerned that a failure to report this income could result in either tax penalties or a treatment of the payments as gifts which cause Medicaid ineligibility. After all, it is difficult to have your cake and eat it too. If you want these payments to be treated as compensation, and not a gift, there will be a tax consequence. 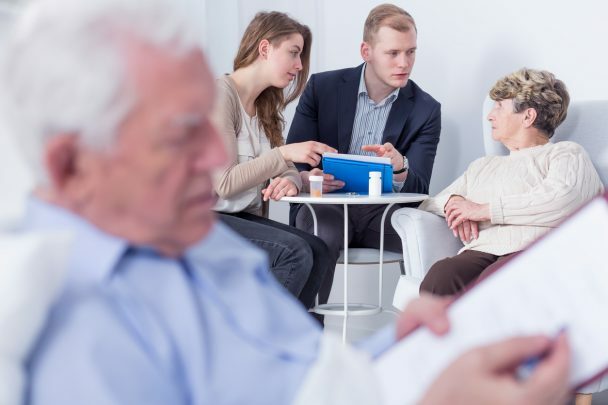 For details on preparing the family caregiver agreement or any other nursing home asset protection issues please set up a consultation by calling the office at (610) 933-8069. Creation of a Medicaid Asset Protection Trust, use of a Medicaid Compliant Immediate Annuity, qualification of the Family Caregiver Exception, creation of the Caregiver Agreement, Irrevocable Burial Reserve, Monthly Gifting Exception, Elder Law Friendly Financial Power of Attorney, Medical Power of Attorney, Living Will. For PA Residents: Click here to receive our elder law guides. To keep up to date with changing laws and new planning options sign up for our free newsletter. Click here to subscribe to our monthly e-newsletter.